A good friend of mine recently gave birth to a beautiful baby boy. 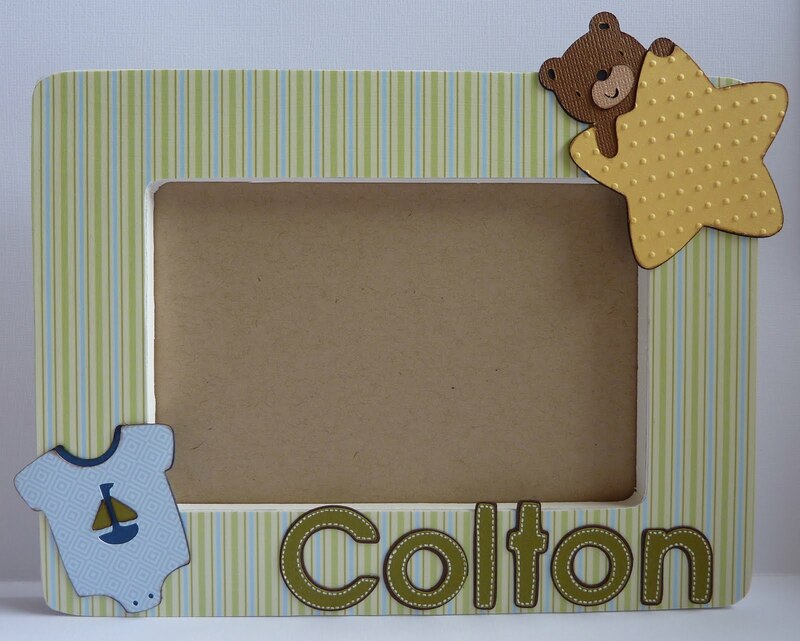 As part of the baby gift, I made this personalized frame for him. I began with a wooden frame from Michael's, to which I gave two coats of white acrylic paint. I then traced the frame onto the striped patterned paper, cut it out, and adhered it to the frame with Mod Podge. 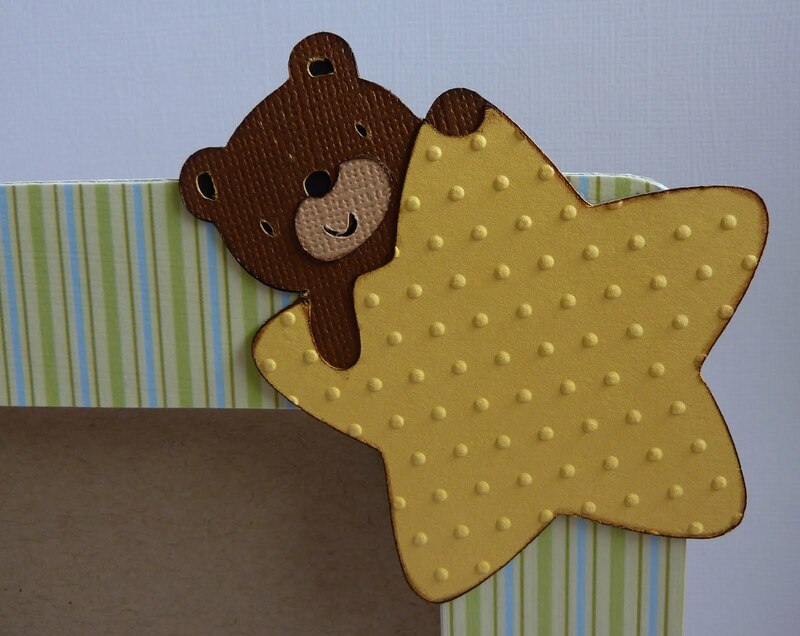 The bear peeking out from behind the star is cut at 3" from Baby Steps. I ran the star through the Swiss Dots Cuttlebug embossing folder and inked around the edges. For all of my cuts, I adhered them together with Scotch Quick Dry, but I attached them to the frame with Mod Podge. The onesie is cut at 2 3/4" from Baby Steps. The original cut had different colored sleeves, but I removed them with my Gypsy. 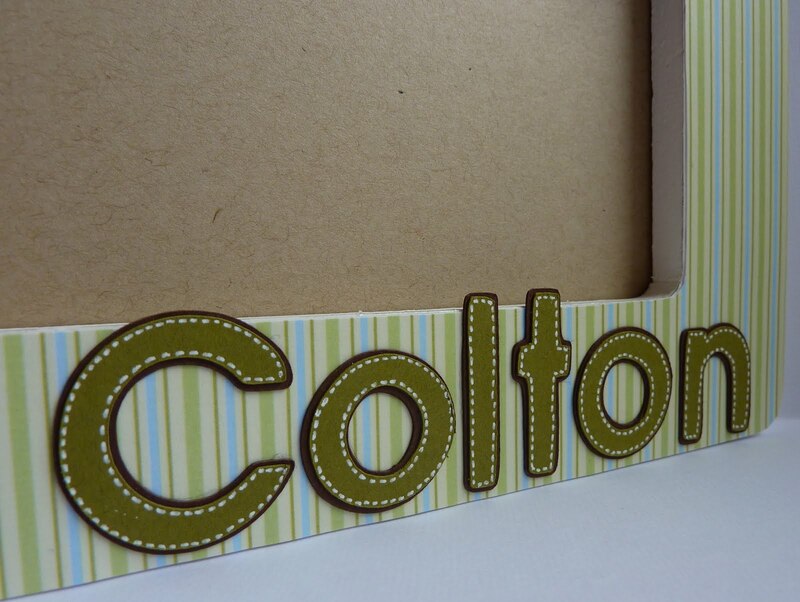 "Colton" is cut at 1 1/4" from Nate's ABCs. I cut the shadow also, and then stitched around the letters with my gelly roll pen. What a cute frame. The baby picture is going to look adorable in it. Your frame is adorable...I love the papers you used! Your friend will love it! TFS! How cute. Makes a beautiful gift for someone. Love it Katie. Really Cute Katie. Your friend is going to love this gifts. 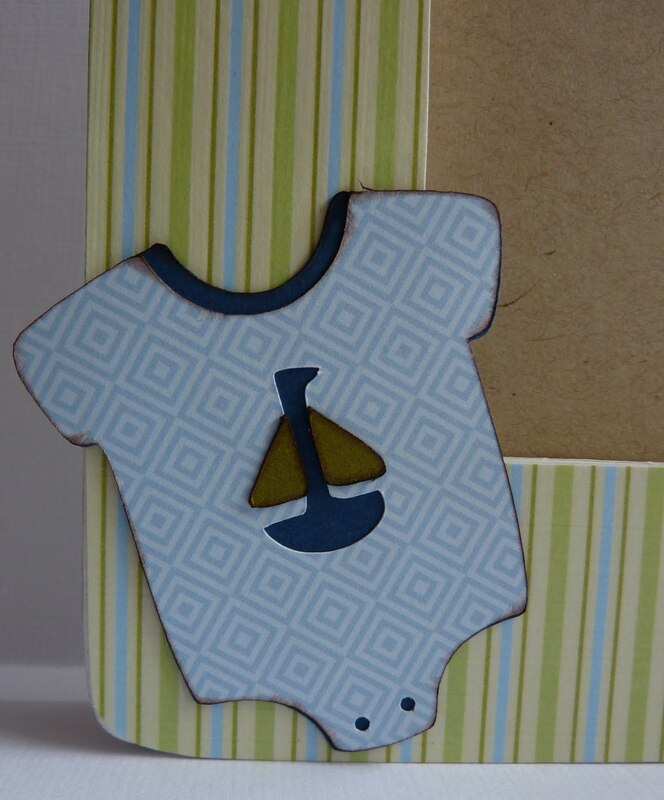 This is an adorable and special baby gift! Adorable. May my next meeting with mod podge go as nicely as yours. Thanks for sharing. Absolutely adorable...I need to make some of these....great job and so cuteeeeeeeeeeeeee!! !